If you’re ready to start storing, take a look at our unit prices and availability. 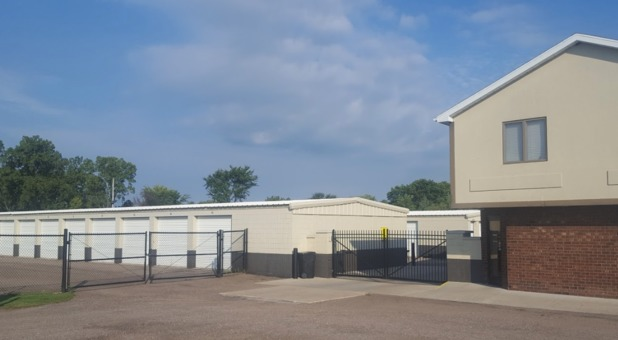 Our facility is located on Palladium Avenue near I-94 and Valley Truck Parts Inc. We’re just 9 minutes away from St. Joseph and a quick drive away from Shoreham, Benton Harbor and Sodus Township. Our ground floor units are drive-up accessible, so you won’t have to travel far from your moving truck or car as you load or unload your belongings. If you happen to need a moving truck, we have them available at an affordable price as well, just call to speak with a manager for additional details.Trust us to keep your belongings safe. With video surveillance we’re able to see everything taking place on the facility 24/7. In addition to our cameras, our facility is enclosed and gated with coded entry. Use your code to get inside of the facility, but be mindful of who has access to your code.